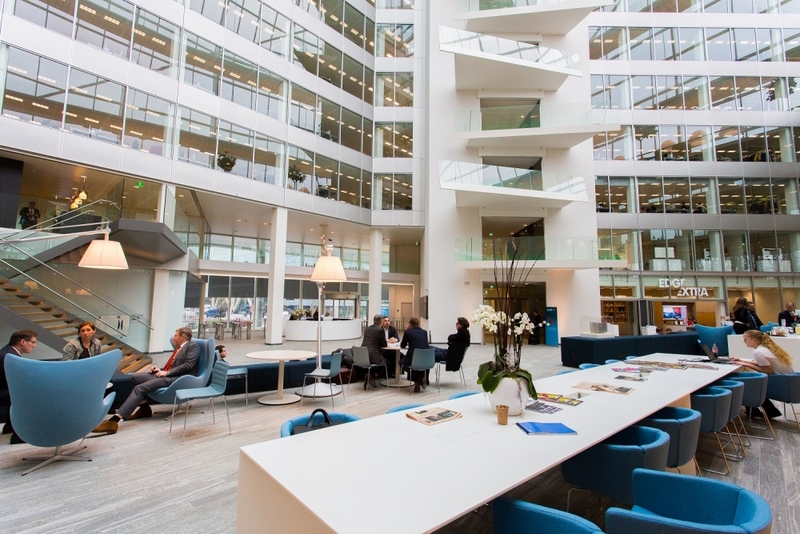 What makes this smart office the most sustainable in the world? Firstly, the building’s orientation is based on the path of the sun. 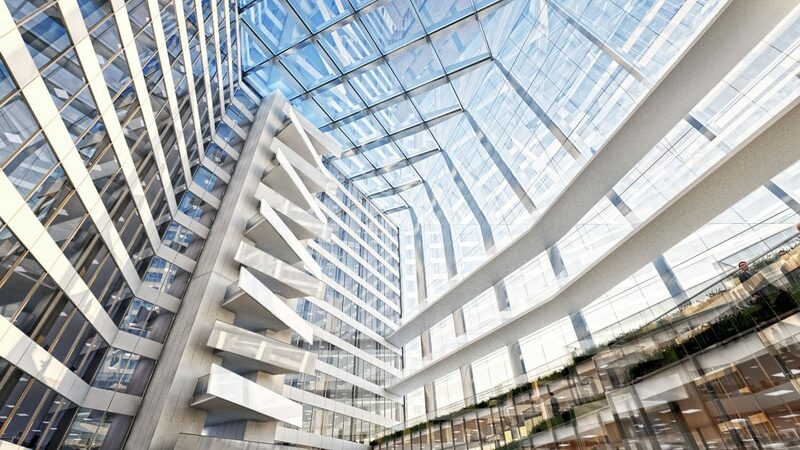 That means that the atrium bathes the building in northern daylight while the solar panels on the southern facade shield the workspaces from the sun. Secondly, those solar panels on the south facade provide enough sustainable electricity to power all the smartphones, laptops and electric cars based the building. Now that’s pretty sustainable, right? But that’s not all; operating at an estimated 70% less power than a comparable structure in the business district, it’s the exceptional series of nearly 30,000 smart sensors based in the lighting panels and developed with Philips that makes it an extremely efficient building with never-before-seen interactivity for employees. The advanced smart application for phones and tablets continuously measures occupancy, movement, lighting levels, humidity and temperature, allowing it to automatically adjust and distribute energy usage where needed. 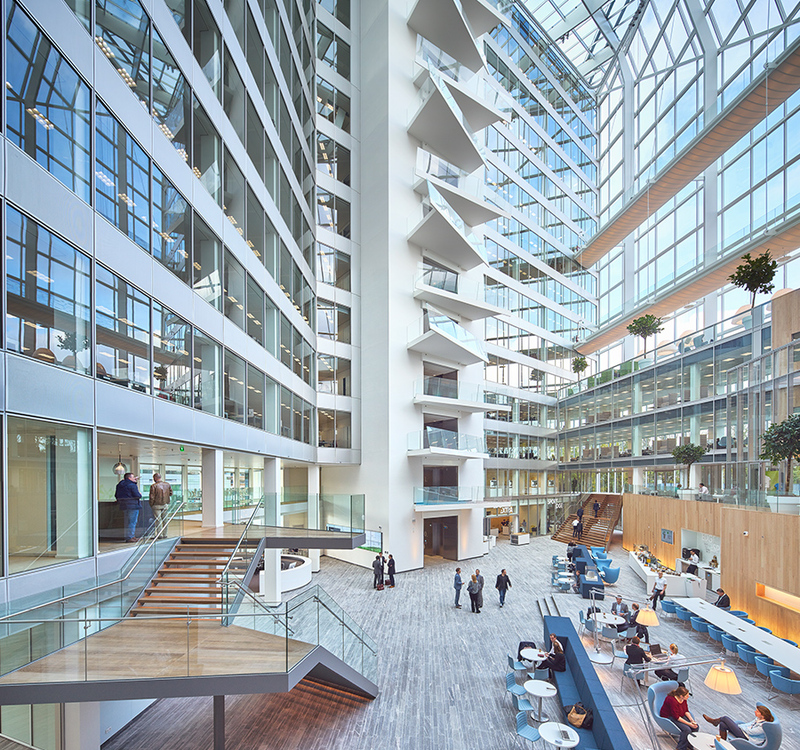 Deloitte’s employees use the smart technology in a synergistic way with the building, as if it’s alive; identifying free parking spaces upon detecting the car’s number plate, the application will guide the employee to the correct room depending on their schedule for the day and find desk space or meeting rooms that are unoccupied. On top of that, it knows how the employee takes their coffee, lets them control temperature and humidity in their vicinity, and monitors personal energy use throughout the day – even generating energy from exercise machines in the gym. Setting one helluva precedent to the world, let alone just Europe, industry powerhouses OVG Real Estates (the development company in charge of building The Edge Amsterdam) has achieved greatness with this building – being scored a world-leading 98.36% for sustainability by BREEAM and winning the public vote for the prestigious Your BREEAM Award in 2016. The future of smart office solutions is here and this is a prime example of how the technology integrates seamlessly and works effortlessly when all are onboard. With the right installation company this is achievable. 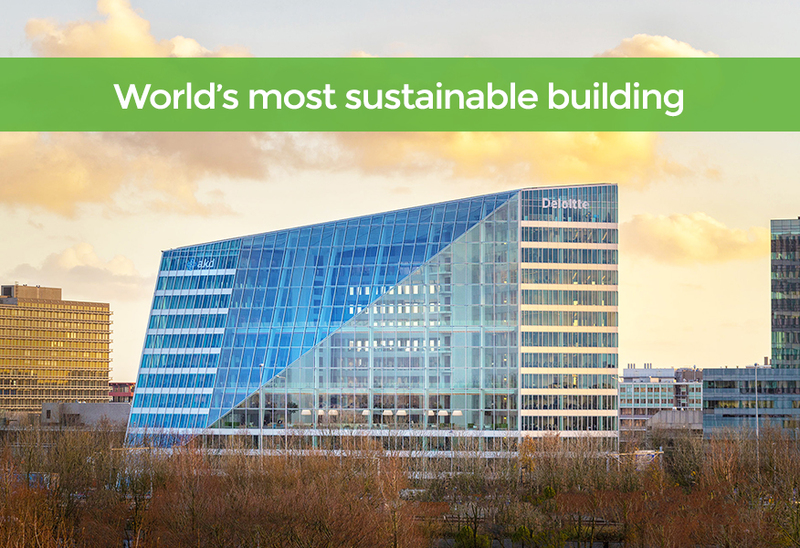 We can’t wait to see the next challenger for the title of world’s most sustainable building. 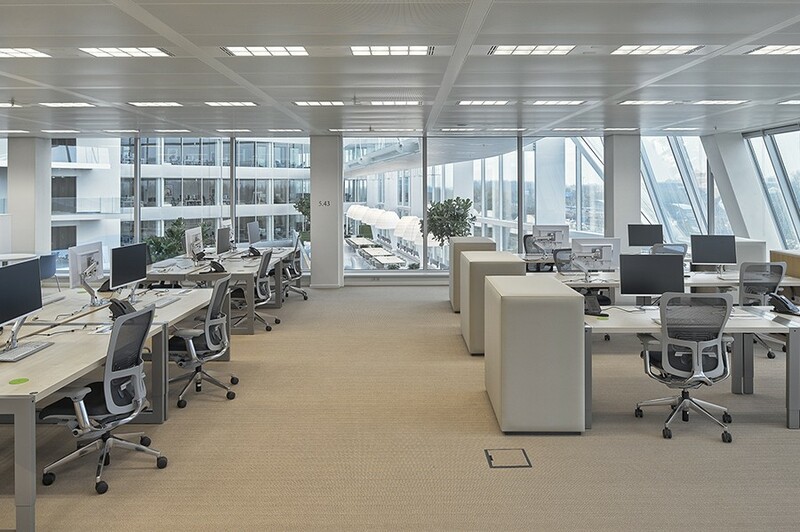 Smart office solutions are on the rise – and rightfully so – the substantial cost savings and sustainability label are enough to motivate businesses looking into renovating their offices or those moving into new premises to be more green. With our industry experience and technical knowledge we can offer smart office solutions in Dorset, Hampshire, Surrey and London to compliment your green business credentials. We’re professional CEDIA installers and authorised Control4 dealers with over 20 years industry experience and market leading when it comes to technical installations. Our expert team of friendly tech advisers, based in Poole Dorset, are always on hand and happy to help with your enquiry, get in touch below or call us on 01202 743231. I have no doubts in recommending Unique for all things smart home. We’ve been working together for many years now and every time they continue to go above and beyond what’s asked, fair priced and the service is among the best in the business. Unique Tech Solutions have been in to install an interactive smart whiteboard in three classrooms and our resource room. We were impressed with the speed of install and the equipment is great fun to use. All students reporting positive feedback so far! Thanks again Paul and Brian for going the extra mile with our recent Smart Heating System installation. Love being able to see how much energy we use each month from my phone and being able to adjust the temperature as we go is the future! As Dorset's leading experts in Smart Technology, we take pride in all we do, with a multitude of services that are available to homes and businesses across the county. It's this pride that separates us from the rest. The latest tech, at the best possible price.